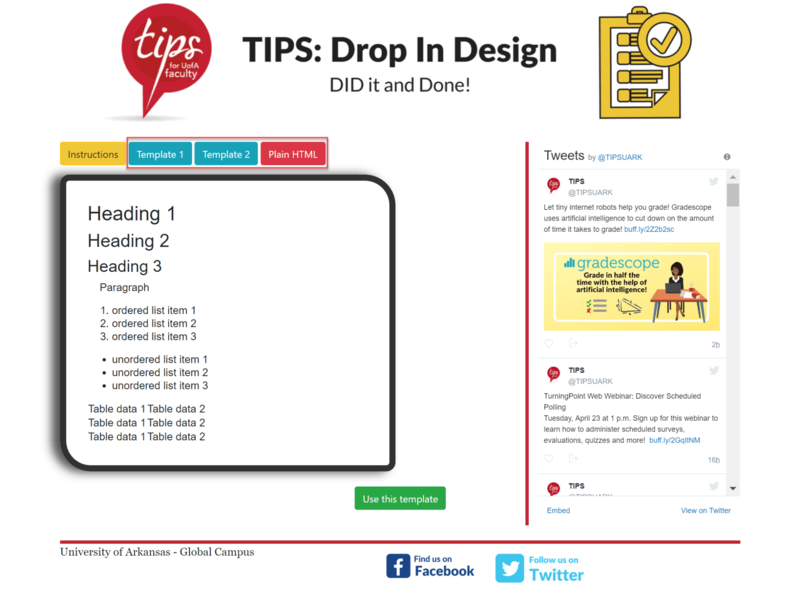 Visit the Drop In Design site. Select the Template to preview what the document will look like. This choice can be changed later if needed. Once you have decided which Template you would like to use the “Use this template” button. 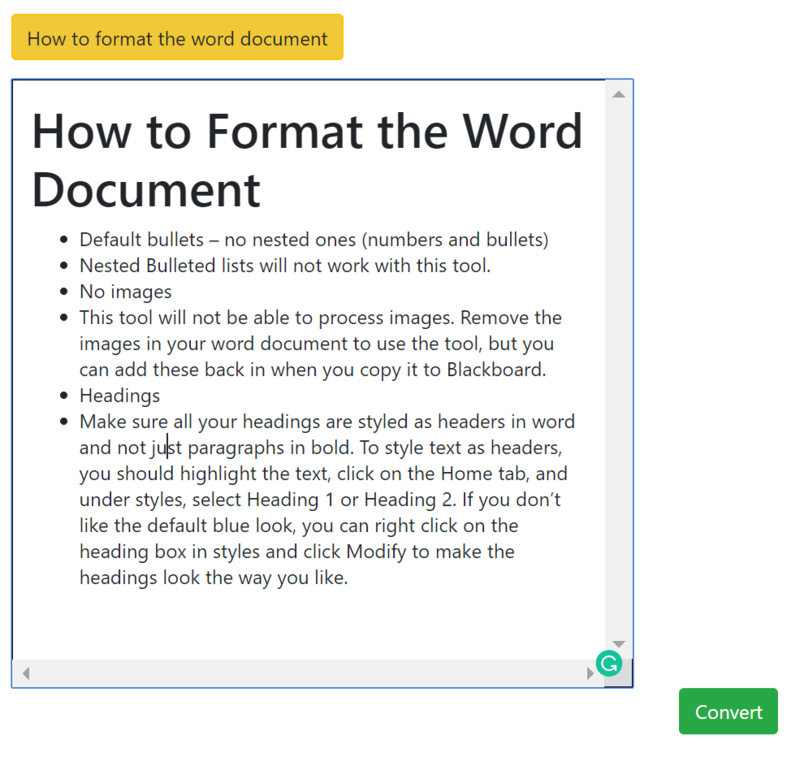 Copy and paste your text from Word into the window. Nested Bulleted lists will not work with this tool. This sentence is an example of a nested bullet, it’s inside 2 bullet lists. Make sure you only have a single layer of bullet points and be sure to use default bullets. This tool will not be able to process images. Remove the images in your word document to use the tool, but you can add these back in when you copy it to Blackboard. Make sure all your headings are styled as headers in word and not just paragraphs in bold. To style text as headers, you should highlight the text, click on the Home tab, and under styles, select Heading 1 or Heading 2. If you don’t like the default blue look, you can right click on the heading box in styles and click Modify to make the headings look the way you like. 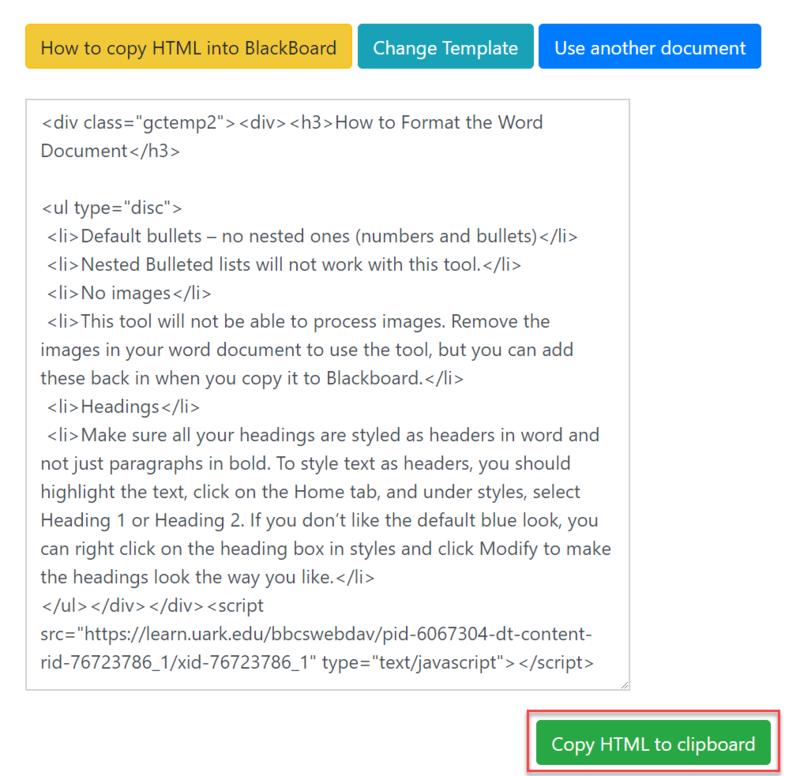 Click Copy HTML to Clipboard. Click on HTML icon in text editor. Paste the code from the Drop In Design tool and click Submit. Note: You can add your images back into this tool using the image tool in the text editor.